During Monday's District Board of Trustees meeting, the Polk State College Foundation recognized The Mosaic Company for its contribution of $75,000 to support the College's Clear Springs Advanced Technology Center. From left, Trustee Teresa Martinez, Trustee Chair Linda Pilkington, Trustee Vice Chair Dan Dorrell, Polk State President Eileen Holden, Mosaic Community Relations Manager Callie Neslund, Trustee Mark Turner, Polk State College Foundation Vice Chair Anu Saxena, and Trustee Greg Littleton. 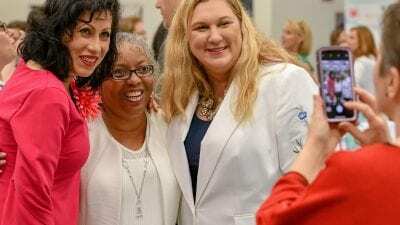 The Mosaic Company has presented $75,000 to the Polk State College Foundation to benefit the College’s new Clear Springs Advanced Technology Center. Mosaic’s gift will support high-tech capital needs associated with the opening and ongoing operations of the Center as well as sustain and elevate programs and scholarships. “We are extremely grateful to The Mosaic Company for helping the College make it possible to build world-class apprenticeship programs, precision maintenance mechanics programs, and instrumentation and automation programs. 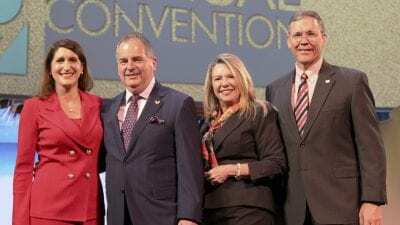 We work together with Mosaic on a daily basis — they truly see the value in our partnership, which is a testament to how important and strong that partnership is,” said Robert Clancey, director of the Polk State Corporate College. Slated to open in 2014, the Polk State Clear Springs Advanced Technology Center will be located off State Road 60 in Bartow and will house the Polk State Corporate College and the College’s high-tech degree programs. The facility will include state-of-the-art technologies and offer high-demand workforce training programs for industries as varied as supply chain management and information technology. The facility will serve more than 12,000 people annually, and its goal is to greatly enhance their educational opportunities. The facility has been made possible primarily by private philanthropy, as well as funding from the Polk County Board of County Commissioners. Mosaic’s donation and partnership is vital in seeing the facility become a reality. The Polk State Corporate College was established in 2002 and serves approximately 12,000 members of the regional workforce annually. It delivers customized, hands-on employee training developed collaboratively with corporate partners to increase productivity, retain valued employees and achieve a competitive edge. 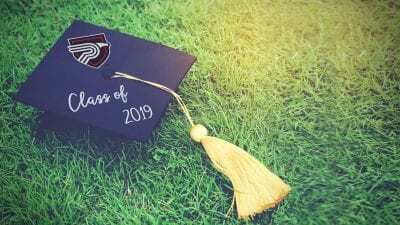 In recent years, Polk State’s increasing student enrollment and expanding academic programs and facilities have placed it among the top schools for growth in the state and nation. The College’s success is a direct result of the support it receives from the community and donors such as Mosaic. Mosaic’s phosphate operations have multiple locations in Polk County. The company is a world leader in producing and marketing concentrated phosphate and potash crop nutrients and animal feed ingredients. Polk State College Foundation Executive Director Tracy Porter also expressed her gratitude to Mosaic. “The Mosaic Company’s philanthropy is an investment in Polk State College, its students and the entire community. 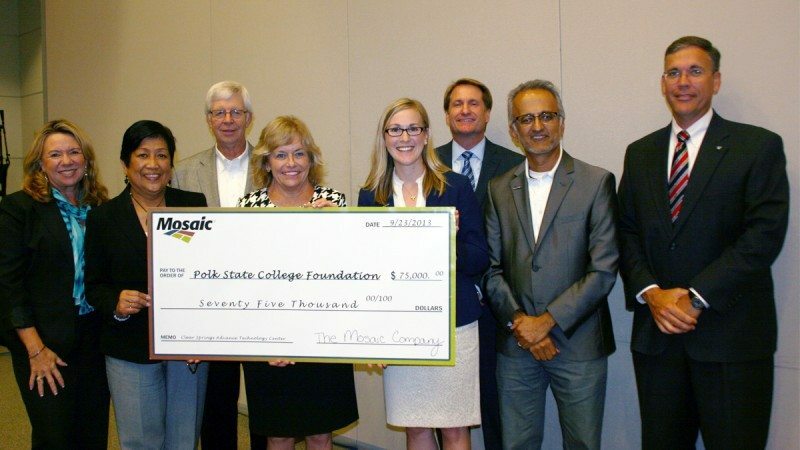 Mosaic’s valued partnership and gift will truly take the Polk State Corporate College to new heights,” she said. The Polk State College Foundation recognized Mosaic for its gift at a check presentation ceremony Monday, Sept. 23, at its District Board of Trustees meeting. For more information about Mosaic, visit mosaicco.com.